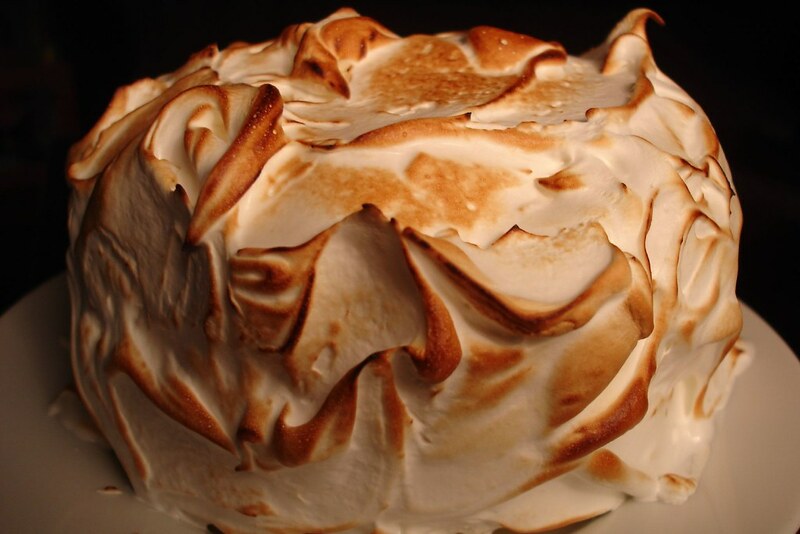 Remember my friend Sumi flying down from San Francisco carrying her purse and a delicious Tartine Lemon Meringue Cake? I tried to make this absolutely beautiful and yummy cake this weekend! Like the Caramel Cook, this is an all-day cake! His turned out much better than mine, but I'm calling this Lemon Meringue Cake, Draft #1. 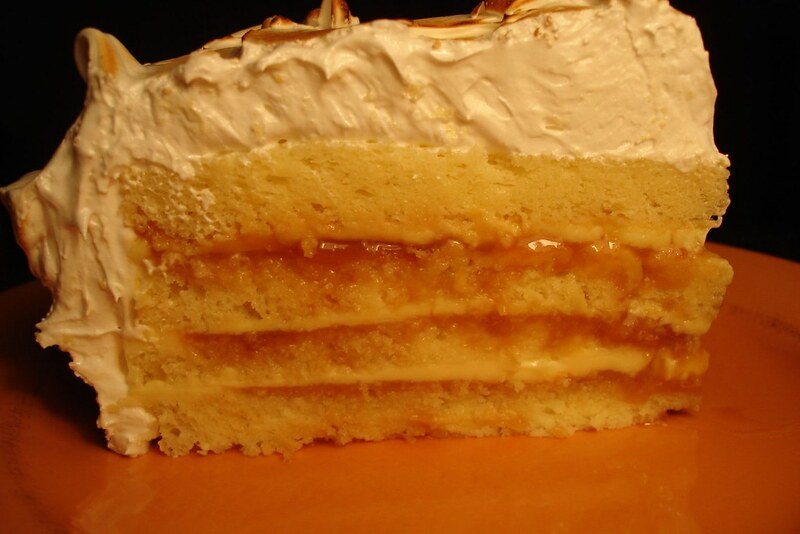 There are four major components: Lemon Cream, Caramel, Lemon Chiffon Cake, and Meringue...and a quick and easy Lemon Syrup. 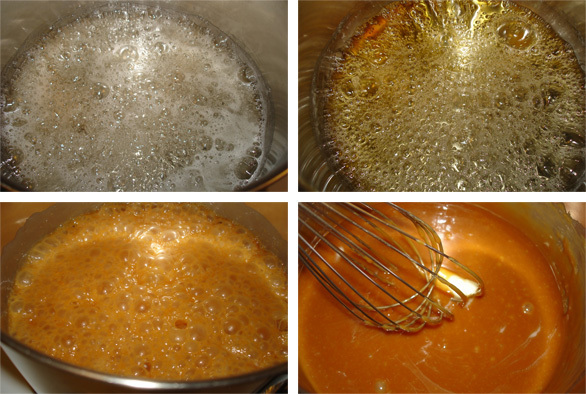 Caramel: Water, sugar, corn syrup boiled until light amber. Warmed heavy cream is added and then butter is whisked in. I burnt the first batch (of course!) but the second one came out okay! 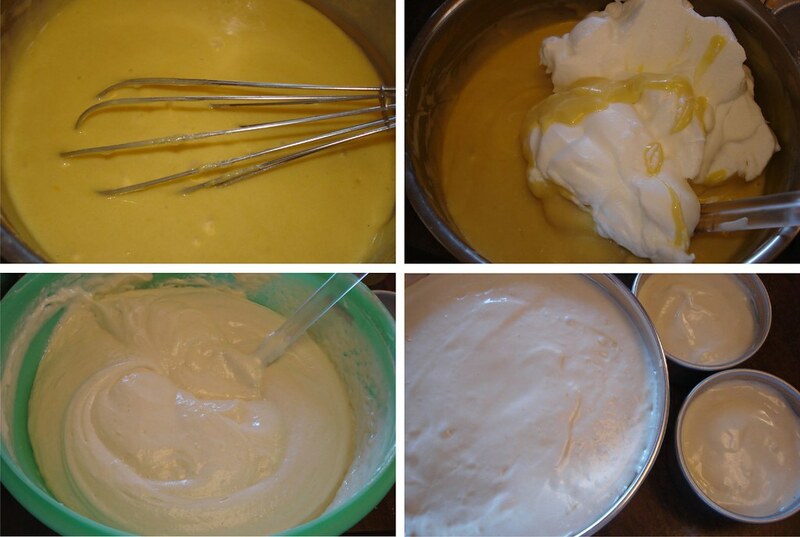 Lemon Chiffon Cake: I whisked together the yolks, flour, sugar, water, lemon juice, zest and oil in one bowl. Then a bunch of egg whites are whipped up and added to the wet batter. But then I realized I had WAY too many eggs to fit in my bowl! Quick switch to the monster Tupperware green (circa 1970) bowl. (Damn, I love Tupperware!) I used a 9" springform from Surfas and two small 4 x 2 pans (also from Surfas). The recipe called for a 10" springform, but I didn't have one. 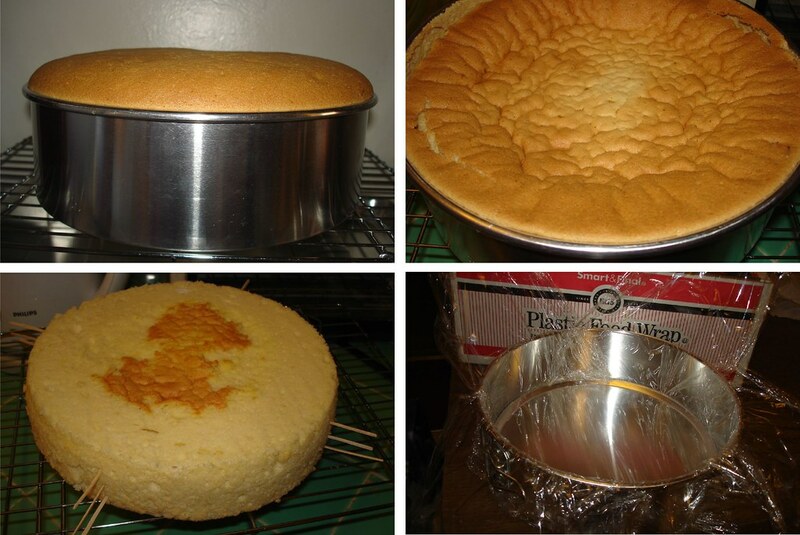 Completed lemon chiffon cake - right out of the oven...then it fell. I leveled off the top and tried to figure out how to cut 4 layers out of the now shorter cake. Next time, I think I'll make it only 3 layers. You need to wrap the pan in plastic wrap so anything lemon doesn't touch the aluminum pan - that creates a bad taste, per the Tartine cookbook. 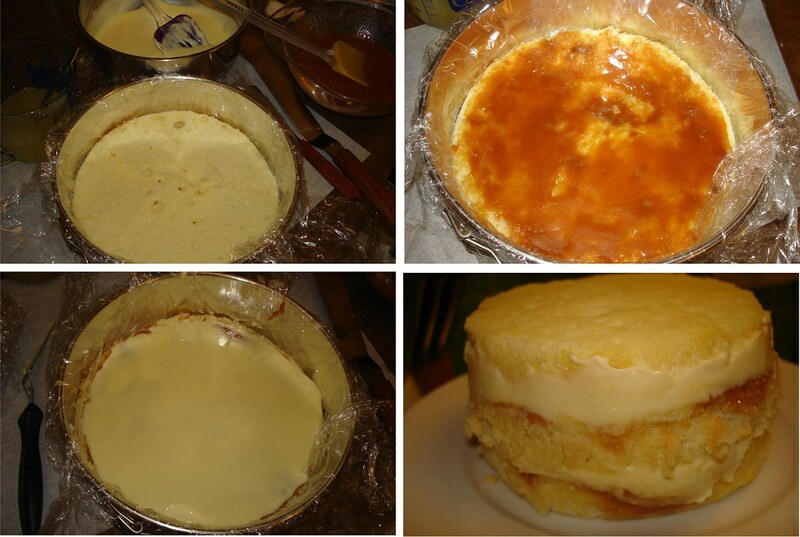 Assembling the cake: Lemon chiffon cake, brush on lemon syrup, caramel layer, lemon cream...and repeat. The cake needs to chill out overnight. Here is my mini-me cake. 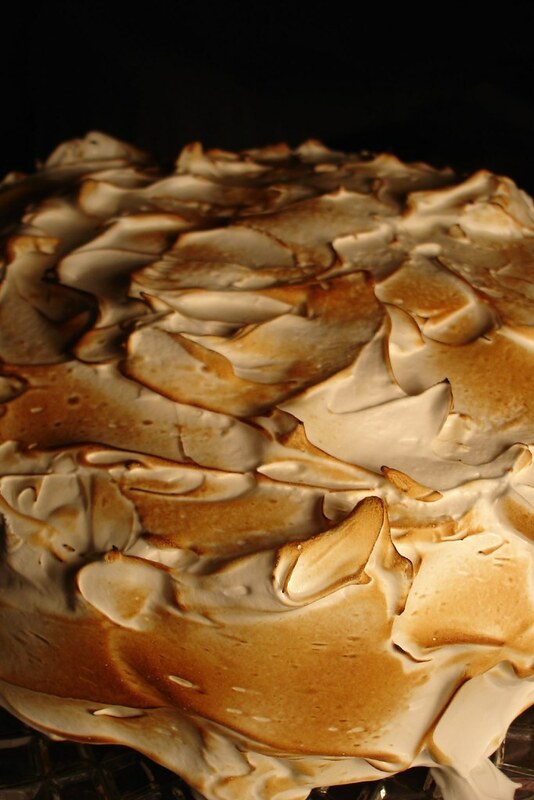 Then, you create the meringue frosting and frost the cake. Although the cookbook says to heat the whites and sugar over a double boiler til 120 degrees, I went to 160 because I'm crazy about egg safety and Martha Stewart goes that high. 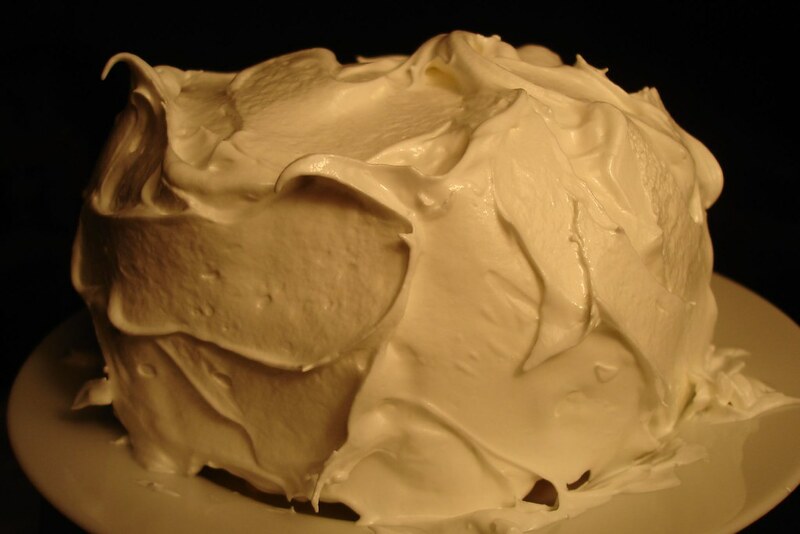 My meringue was tasty, but I think I overwhipped the frosting and didn't get those great swoops I wanted. Dude, I so love this! More things should involve torching. 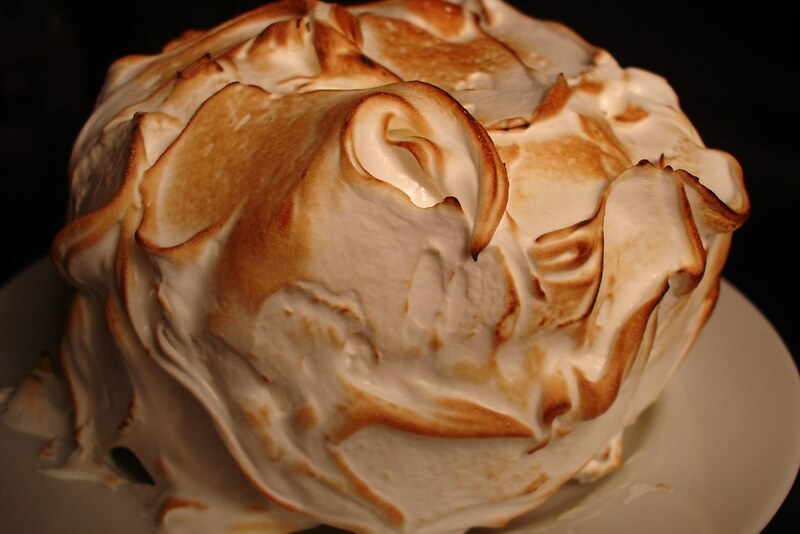 The lovely propane torch was fired up this morning...and after you torch it (takes only a few milliseconds to get a nice brown color on the meringue) you get this cool looking cake! The whole entire house smells like toasted marshmallows at 6:00 am. 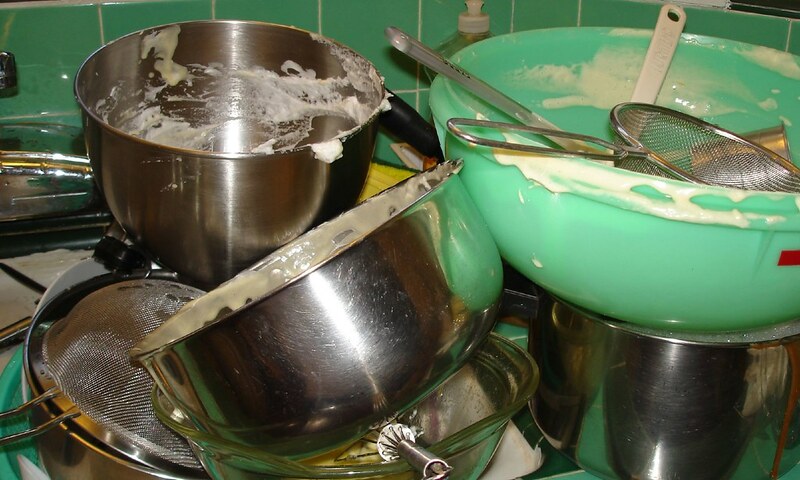 This was only batch #1 of a zillion...with cake, meringue, lemon cream, and two batches of caramel...it was a crazy dish washing experience! Torching is one of my fav things too! This cake looks awesome! Someone asked for the recipe (sorry, I think I erased the post by accident! )...but the recipe is soooo long and involves pages of details (since there are several different recipes). I have repetitive strain arm injury issues so I try to restrict my typing too (and using my voice activated software is annoying me right now)...so I'm sorry. Here is the WorldCat listing so you can go to your library and borrow the book (if they don't have, please ask your library about Interlibrary Loan (ILL) - usually a cheap way to get all sorts of books from all over the world!...I am a librarian so I need to promote the library! :) Thanks for your comments - again, sorry I erased your comment. getting them smooth and lookin nice. curls that are torched look rad....plus the cake tastes great.